1. By ultrasonic inline processing, the processing qualityand capacity becomes significantly higher as all materialis fed through the chamber into the cavitation zone.This results in a homogeneous liquid processing withhighest quality output.2. The continuous ultrasonication results in a very highprocessing uniformity as all the material passes thecavitational zone in the reactor chamber. With our micro-processor controlled ultrasonic "Sono-Processor/ Sonicator", a wide range of conventionalchemical & physical processes can be performedefficiently such as particle size reduction, preparation ofemulsions and dispersion, homogenizing of liquids,atomizing, acceleration of various chemical reactions,disruption of cells, crystallization etc. SpecificationsModel AT/1000 F Or AT/1500 FConverter / Horn PZT Lead Zirconate,Titanium probe.Frequency 20 kHz.Cooling jacket Water jacketed enable the sampleto be Cooled/Heaed.Standard Probe Tip diameter 1" (25 mm). Solid .Autoclavable.Chamber housing S.S 316, Volume of liquid 500ml.Temperature Probe Allows sample temperature to bemonitored up to 100 DegreeC. Usually intensive ultrasound is transmitted into small volumes via a titanium sonotrode immersed into the liquid. This method is very efficient but has the side effect that there is also cavitation at the sonotrode, which results in a small contamination with fine titanium particles into the medium. Such additions have to be avoided if a high degree of purity is demanded as for example in the pharmaceutical industry. In order to solve this problem Hielscher Ultrasonics has developed in co-operation with the ETH Zurich a special flow cell, that sonicates a medium indirectly but nevertheless with a very high intensity. In a closed system the medium is led contamination-free through a glass tube, having no contact with the sonotrode or with the atmosphere. A liquid surrounding the glass pipe supplies the right process temperature. This method guarantees a high reproducibility. 1.Popularused in laboratory extraction and chemistry reaction research,to solve amplitude transformer and reactor sealing problems. 2.This advanced practical type ultrasonic reactor could accelerate chemical reaction. 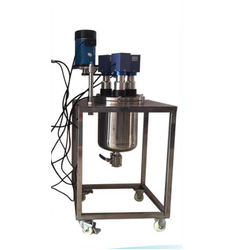 Ultrasonic homogenizer is also popular as ultrasonic emulsification reactor,through its "cavitation effect" to realize theemulsification of oil blended with water,emulsification of water mixed with oil, the mixture and homogenization ofdispersed phase and continuous phase, it's modern chemical technology to instead of propeller, colloidmill and othertraditional emulsification technology. High pressure ultrasonic reactor could equip various types chemical reactors' accessories under high temperature,achieve reaction system gas separation and vapour phase condensation & reflux. So could use ultrasonic disperse, crush, and excitation etc multiple effect to break the solvent structure of chemicalreaction material in reactor, improve reaction activity, disperse and crush particles, reduce its radius. Recent advances in ultrasound-assisted extraction (UAE) are detailed. Ultrasound extraction enhances extraction yield, economy and green impacts. Ultrasound acts directly in the plant cell to release metabolites. Ultrasound-assisted extraction acts through single or combined mechanisms. Ultrasound-assisted extraction is an efficient tool for plant-based chemistry. 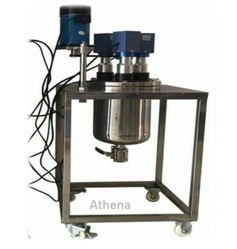 Ultrasonic homogenizer is also popular as ultrasonic emulsification reactor, through its "cavitation effect" to realize the¿¿¿¿emulsification of oil blended with water,¿¿emulsification of water mixed with oil, the mixture and homogenization of¿¿¿¿dispersed phase and continuous phase, it's modern chemical technology to instead of propeller, colloid¿¿¿¿mill and other¿¿¿¿traditional emulsification technology. An ultrasound-assisted extraction is an efficient tool for plant-based chemistry. 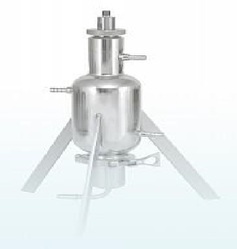 Looking for Ultrasonic Extractor Reactor ?